PSC reached the final round of the Leibniz Award during the extreme scaling workshop 2016 at the LRZ. 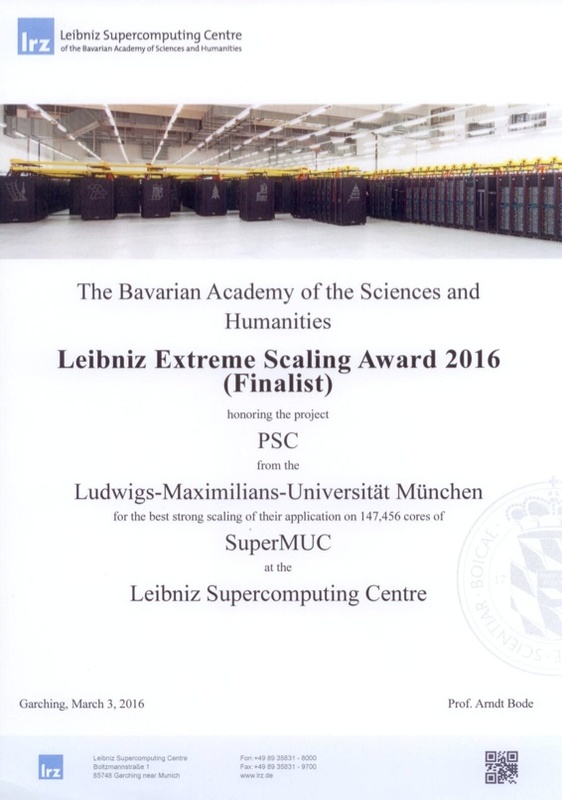 The PSC was one of four finalists for the Leibniz Extreme Scaling Award 2016. The code scales perfectly linear up to 18 islands or 130000 threads of the SuperMUC phase 1 at the LRZ. In addition, the PSC is capable of highly performant parallel I/O with more than 100 GByte/s sustained throughput to parallel storage.